The great biofuel debate is still going, and it looks like it may be here to stay for some time. In political contexts, there has been great focus on whether biofuels will actually reduce carbon emissions and mitigate climate change. The United States, for example, is one major driver of biofuel production, with ambitious biofuel targets for the next decade. Biofuel production companies there argue that the industry will create lucrative market opportunities for its farmers. Some US scientists accuse these companies of exaggerating job creation figures. While these companies and politicians debate, and scientists try to measure the potential costs and benefits of this burgeoning industry, communities that are likely to grow biofuel crops in Africa and Asia are surprisingly positive about perceived opportunities. “Many people have developed a slightly romanticised view of development,” said George Schoneveld, who looked into the impacts of biofuel investment in Ghana. 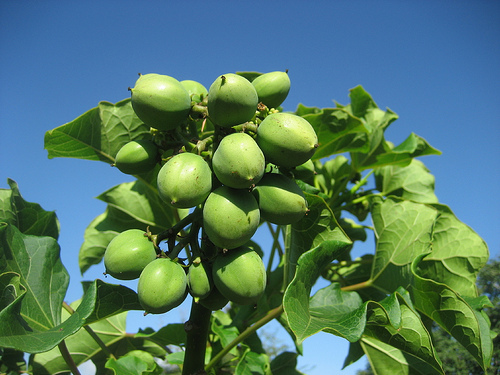 Shoneveld and Laura German, who did a similar study in Zambia, found that when large companies invested in biofuels, like jatropha, in forest-dependent communities, the locals were generally optimistic that the plantations would bring greater prosperity to the communities. “If there is a shift to cash, they think there will be opportunities for formal employment. Many of these people lack access to medical care and education, and most companies that invest in the land are promising that kind of infrastructure,” Shoneveld said. There was great interest in Indonesia and palm oil in 2005 and 2006, but as greater knowledge on tradeoffs emerged, the enthusiasm died down. Further crippled by the financial crisis hit and the rising price of crude palm oil, international investment in biofuels in Indonesian began to wane. This year, it is showing signs of recovery, said Krystof Obidzinski. Obidzinski looked at two study sites in Papua and one in Kalimantan. The impact of biofuel production on forests is enormous. In Kubu Raya, West Kalimantan, there were 16,731 hectares of secondary swamp forest in 1990, and by 2009, half that amount had been cleared for biofuel plantations. Obidzinski said that in the sites he studied, perceived socioeconomic impacts were generally positive.